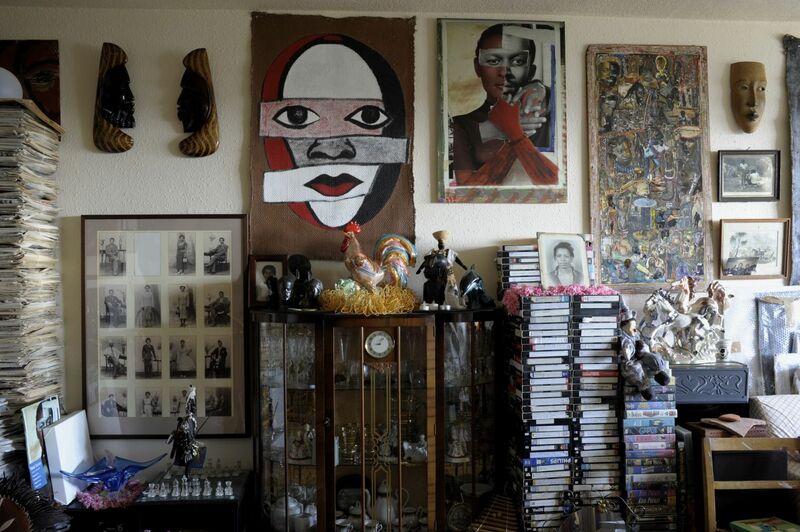 Ikon is pleased to present At Home with Vanley Burke, a unique exhibition from Birmingham-based artist Vanley Burke. The project sees the entire contents of Burke’s flat in Nechells, north-east Birmingham, transported to Ikon’s main exhibition space. Commonly referred to as the "Godfather of Black British photography", Burke is also a dedicated archivist and collector of objects relating to black culture in Britain. The countless objects that fill Burke’s space, serve as a portrait of religious and political beliefs, artistic activities, fashions, leisure pursuits, food, health issues and many other aspects of everyday life. This exhibition reveals Burke too as a subject of his own enquiry.